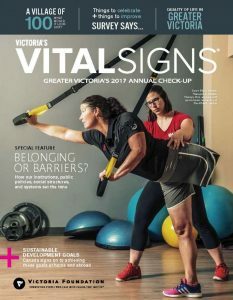 The Victoria Foundation is part of a network of 191 community foundations across Canada, whose goal is to ‘tackle some of Canada’s most complex community issues over the long-term’. With the help of an SDG lens, the Victoria Foundation acts as a liaison between donors and civil society organizations, allocating funds either in accordance to the donors wishes or to the greatest needs. Their yearly Vital Signs report presents both original citizen survey results and curated secondary data to juxtapose the opinions of residents with indicators of wellbeing in 12 key issue areas. The reports spur conversations in which community members look through the data to see what needs to be prioritized, what are the biggest problems in the community, and decide what they can do to enact change. 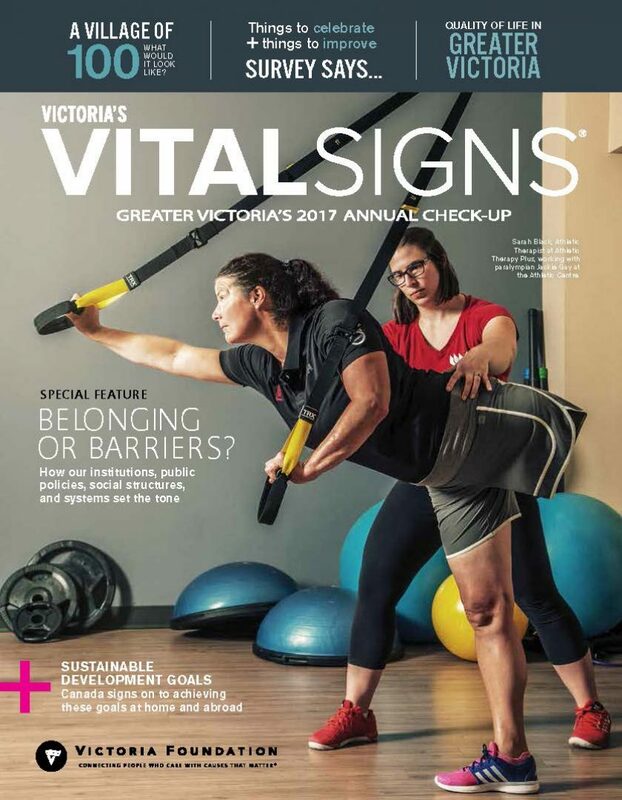 For the 2018 Vital Signs report (out in October), the SDGs will be even more of a focus, including a cover story on how local action is working to address the global goals. Furthermore, the report places SDG icons next to indicators throughout the report that support specific Sustainable Development Goals. These indicators are closely aligned with the formal SDG monitoring framework, and include both United Nations-designated and Canadian-equivalent SDG indicators. To further embed the SDGs into the Foundation’s processes, grant applicants now have to explain which SDGs they address when applying for funding. This ensures that community organizations know about the SDGs and apply them in their work. Richardson explains that many donors have become interested in the SDGs too, and will sometimes specifically state which goal they want their money to impact. Every two years, the Community Foundations of Canada hold a conference, and in 2019 it will be hosted by the Victoria Foundation. 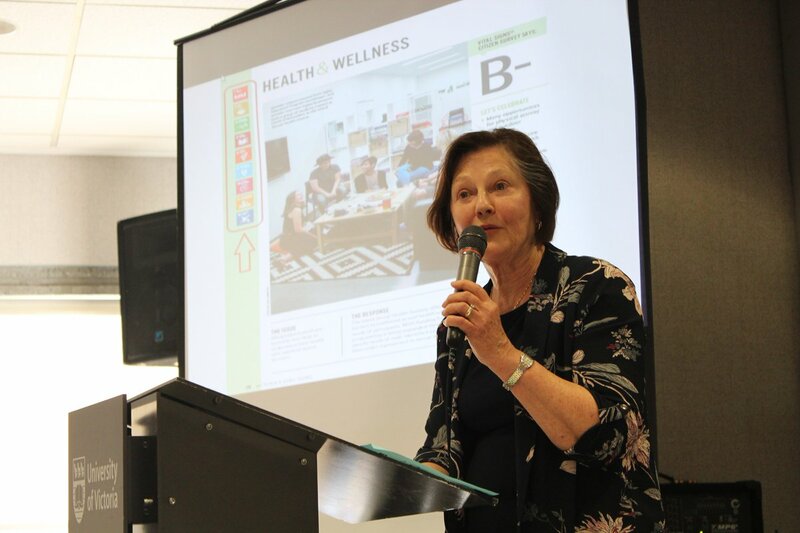 ‘All In 2019’ will occur in June, and will focus on how communities locally and globally are connected, in the sense that citizens need to be ‘All In,’ in order to achieve their goals. Since leaving no one behind is one of the main principles of the SDGs, it fits in perfectly with the ‘All In’ mantra. The Victoria Foundation’s dedication to the SDGs is inspiring and is growing among other community foundations. This shows us that an organization can take initiative to achieve the SDGs simply by first recognizing them and then incorporating them into work where there is a natural fit. In using the SDG framework, the Victoria Foundation is able to systematize the broad range of issues that they cover and can more effectively match donors with organizations that they are interested in. The Victoria Foundation represents hope in the Canadian context of the SDGs, and they are a leader amongst the other community foundations.